Have you taken up running in 2019? If so then do make sure that you do a bit of reading up first so that you know how to begin and so you can run injury-free. Running can put a lot of stress and strain on your body if you’re not careful and you don’t know what you’re doing… so if you’re serious about it, you might also want to go and have some proper running training to get you off on the right foot. When it comes to pacing yourself, this can be especially tricky. You don’t want to set off too quickly at an unsustainable pace or you’ll find that you come to a stop a lot sooner than you might do otherwise. You need to factor in your fitness levels and be realistic about what you can and can’t achieve. If you have an exercise tracker, head out onto the street but otherwise you might find it more useful to start off on a treadmill so you can monitor your heart rate and how fast you’re going. Consider doing a magic mile time trial so you can work out the optimum speed for your runs, allowing you to then set out some realistic goals for yourself and keep you in your running shoes for longer. Do a warm up before you hop on the treadmill, then set it to a mile and time yourself to see how long it takes. Don’t push yourself as hard as you can go but try to run a bit faster than usual, recording your time. This will let you know what your top speed will be and you can use this as a benchmark to work out what pace is right for you based on your fitness levels. Do a time trial every couple of weeks, trying to beat your previous time. On your regular runs, try to go between two and three minutes slower a mile than your magic mile time, remembering that your perfect pace will feel comfortable and relaxed. If you’re really blowing hard, ease off a bit as you’re pushing yourself too far. Don’t go out too fast and stop trying to increase your speed later on in your run. 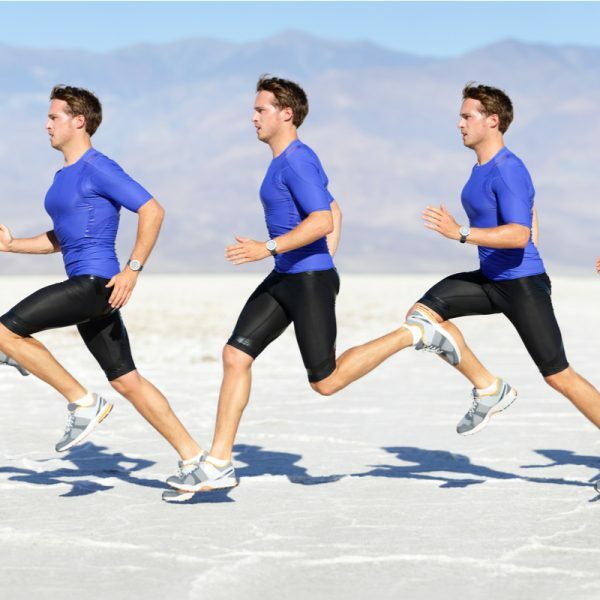 It’s far better to be consistent when you run, although your first mile should be the slowest because your body needs to warm up and get used to all the movement. Turn your music off from time to time. Yes, it might be nice to have tunes on as you run but remove these distractions and you’ll find you tune in to how the run actually feels. Looking for custom running insoles? Check out our website today. Have you taken up running in 2019? Make sure you stay injury free! Your insoles shouldn't cause you pain for any extended period of time. If they do, read on to see how PODFO can help. Poorly fitting off-the-shelf insoles can sometimes cause further pain rather than alleviating it. See why this is sometimes the case, and how PODFO can help. Podfo bespoke biometric insoles can be used to help aid recovery and treatment of a number of golf related medical conditions. Podfo can help conditions which playing golf can aggravate. From Pes Planus to Osteoarthritis, find out how the biometric bespoke insole can help.